Quality ad-free indie publishing. Encouraging kids to be kids. 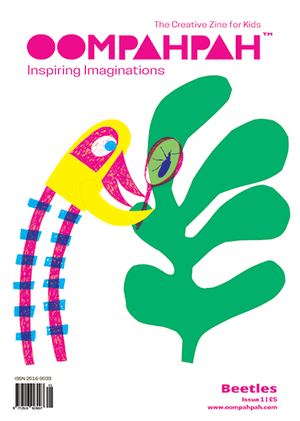 Oom Pah Pah is a creative activity magazine for little kids with big imaginations. It’s illustrated and published by me. 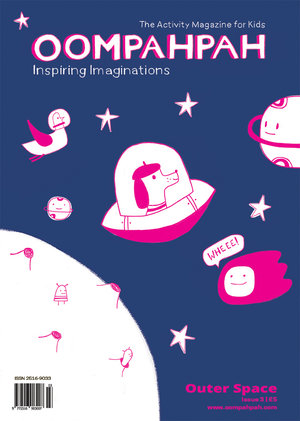 Inside each fully illustrated issue are stories, puzzles, games, activities, projects, poems, colouring pages and activities aimed at getting the creative juices flowing! Explore the world of beautiful beetles and be encouraged to get out in the garden and draw what you find there – as well as make a home for Stag beetles, which need our help. Make your own cube monster - have fun playing spot the difference - create a MonstROAR! Play a board game - label the planets of our solar system - challenge yourself or someone else with memory match - learn to draw a space ship.